Animal Crossing: Pocket Camp has been gracing our mobile screens for just over a year now, no doubt tiding over many of the series' fans while we wait for the highly anticipated Switch game due later this year. It's a solid experience for smartphones, and indeed for the franchise, but the game could have been something very different entirely. During its development, Pocket Camp faced several issues. Originally, the game was planned to release in autumn of 2016, but was soon pushed back to a new expected launch date of March 2017. The month of March soon arrived without any footage or solid information, though, and it was once again delayed during an investors meeting. 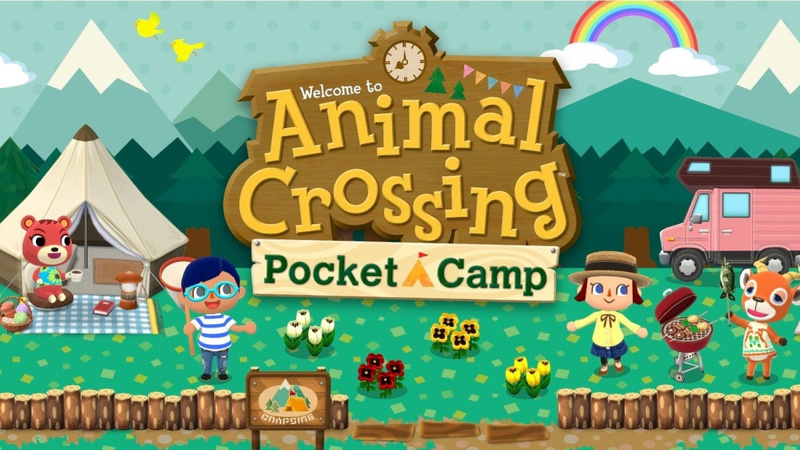 Eventually, in October 2017, the game was finally revealed to be Animal Crossing: Pocket Camp and was to feature gameplay elements that were typical of the series. Had the game launched during its original schedule, however, things would have been very different, as discovered by video game researcher and archiver, Liam Robertson, in this DidYouKnowGaming? video. Robertson explains that Nintendo was originally working on something internally known as Animal Crossing: Town Planner, which was described as a game in which players could build and manage their own towns from scratch, with other features such as light economy management elements also being included. Players would be able to visit the towns of their friends and trade items over the internet. 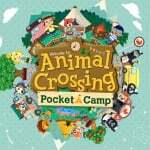 After being in development for a year it was reportedly falling short of Nintendo's standards, being "too bare bones and simplistic", and was eventually replaced with the ideas present in Pocket Camp. You can learn more about it in the full video below, which also explores how different Captain Toad: Treasure Tracker, Project Hammer, Splatoon, and Tokyo Mirage Sessions FE might have been under different circumstances. Do you enjoy playing Animal Crossing: Pocket Camp? Are you glad that this early idea was scrapped, or would you have liked the game to be as it was originally intended? Feel free to share your thoughts with us below. I wish it was a different game. There simply isn't enough to do. It's all fetch quests for villagers and spending days trying to accumulate enough resources to build a single piece of furniture. I dip into it every now and then, but it never holds my attention. It breaks the classic Animal Crossing formula of "something new every day". I played it for a while. The constant additions of new animals, timed items, etc., were too much for me (and my phone, it was eventually given new requirements which made returning to it impossible), and the gacha fortune cookies were the last straw. I'm just glad there is an Animal Crossing game that is popular, we haven't really had a good one since 2013. @Der Happy Home Designer was much better than this watered down RNG microtransaction mobile game. @Harmonie That's fair, actually. I honestly loved HHD, but nobody else seemed to. But I would have to agree that HHD is better than Pocket Camp, mobile games just can't beat console games. Luckily, as long as the development goes alright, Animal Crossing Switch will put us out of our misery by the end of this year. @Der I really hate how people put down HHD. It's like everyone expected it to be a full-blown AC game when it was only ever supposed to be a spin-off. It's a fine spin-off, and I honestly am glad that Nintendo didn't rush out a sequel to NL, because I guarantee it would have disappointed us all. For me, it was a decent, relaxed game to play through. I had to spend a couple night in the hospital last winter, and I played this a lot during those two days. It just turned into a repetitive errand game after a while, and I've never gotten back into it since the updates to the gameplay (fortune cookies, gardens, etc.). With other games to occupy my time (FEH, Dragalia, Pokemon Go), I haven't felt the urge to pick this back up. @mjharper Yeah, Pocket Camp started out pretty innocuous. It was always pretty bare bones for an AC game, but it was something okay to play for a while. You, like me, stopped really playing before they made the changes to the game that makes it what it is today. The game is no longer so innocuous, it is now just like any other toxic mobile game that is trying to take people's money via RNG. It's sad to see it happen to Animal Crossing. I hope a lot of the new objects and outdoor themes/plants get implemented in AC Switch, though. I wonder if was ever -not- gonna be just another lame gacha game, like Mario Run. I would have actually stuck to a version like that. I have other games on my phone; some free, others that I have put money into, for either the full version of the game (Super Mario Run), or to make ad-free (Sonic The Hedgehog, Tetris, Pac-Man). Throughout the year, I play each of those enough to justify the purchases. The nice thing for those titles, SMR was a one-time pay to get access to the full game, StH also a one-time payment, Tetris a one-time, Pac-Man a one-time. On top of that, Tetris, and Pac-Man do offer options for real currency, in exchange for in-game currency, or tokens. However, they are properly designed, so that you can win, without ever spending real money, including not even the ads prevented me from playing; they were just an inconvenience. I tried FE:Heros, and AC:PC. They weren't my cup of soda. I always prefer games that I make a one-time purchase. Even on 3DS, I played Badge Arcade only when I could, for free. Edit: My phone has not replaced my 3DS. My 3DS does need repair, or replacement. @Anti-Matter What's wrong with Happy Home Designer? I thought it was quite good! After you designed the house, you did NOTHING but interact with furnitures for NO reasons. The objective on HHD was just decorate the houses, Nothing else. Remind me MySims Kingdom Wii. If i can build my own house and the community like Dragon Quest Builders, i can give 9 from 10. So sad to hear that this game might have been more then a simplified version cash garb F2P game that it turned out to be. Only existing to milk money for people that throw money at anything related to games they actually love. Thank god it wasn't another Sim City clone. I still wish there was a town. This game got boring, as lots of animals say the same thing.